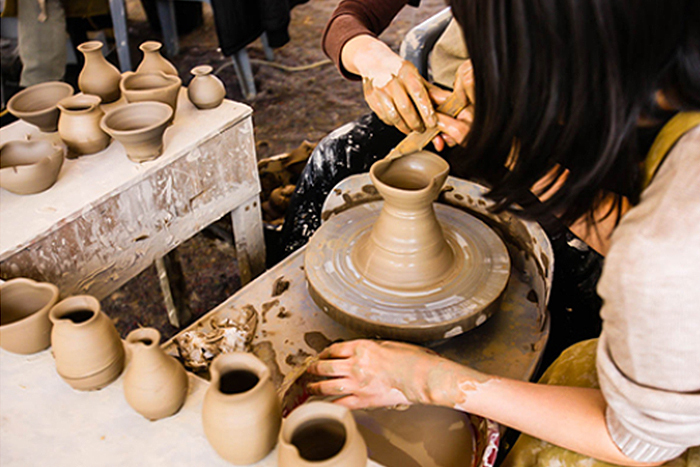 There are various activities available to experience Korea’s traditions; the most popular of these experiences among international tourists is pottery-making. Visitors can make their own work, starting from a simple ball of clay and turning it into a beautiful piece of art with their own personal design. The city of Icheon in Gyeonggi-do is famous for ceramics, leading to the creation of many programs relating to ceramics. Visitors can learn about the history and culture surrounding traditional pottery, as well as experience making their own item. Participants can take their final products home that day, or have them airmailed later for an additional fee. Directions: Take a taxi from Icheon Bus Terminal for approx. 14 min. * Visitors can also add Icheon rice meal or tour of nearby attractions after experience programs.